When you’re visiting the city with some of the best theme parks and entertainment attractions in the world, it would be a real waste to completely pass them by! 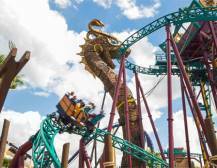 Orlando Theme Parks - The Experiences you must do! 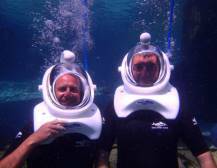 If you fancy taking a day (or more) off from the parks – we’re confident that you won’t regret it! 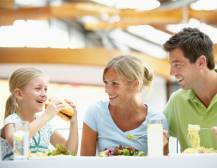 Who knows - you might be surprised to find that you enjoy the theme parks even more after a bit of “quiet time” away from them. 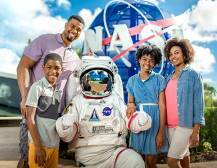 Anyone who ever wanted to be an astronaut will be wowed by the Kennedy Space Center, Nasa’s Launch Facility in Orlando, and kids can fulfil their dreams of becoming a soccer star at Sunny Soccer Day Camps. Want to get out and explore the area? 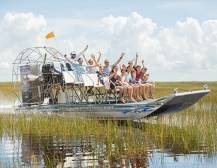 Explore the vast Florida Everglades on an airboat ride and take your chance to spot the notorious Florida Alligator. 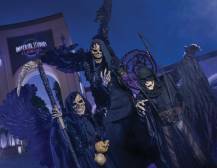 Celebrating a special occasion in Orlando? 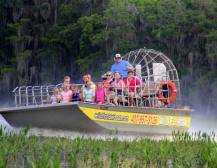 Escape from the crowds (and gators) completely on a serene Hot Air Balloon Ride. In Orlando, anything is possible. You can even learn to fly! While a day in the parks can be tiring to say the least, it’s worth summoning some extra energy for a few of Florida’s famous evening shows! 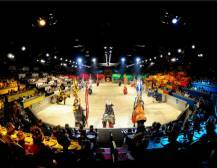 The Medieval Times Dinner Show Orlando will take you right into the age of chivalry. Expect jousting, fierce sword fights and horseback fights that will keep you on the edge of your seat. And as the noble knights battle for the pleasure of the King and the Queen, you will feast on a 4-course banquet fit for a king. Totally worth exploring the Medieval Times! Experience the Blue Man Group show live! 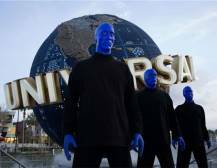 A huge favourite for Orlando evenings is the hilarious, bizarre and interactive Blue Man Group show. 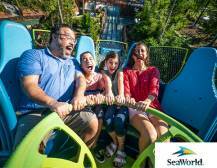 Booking with AttractionTix guarantees you a good seat (no further back than row L!). Families with younger children may want to be tucked up a little earlier – but that just means you’ll be up in time for the Character Breakfast, which whisks you away in a limo for an all-you-can-eat breakfast with your favourite Disney characters! Orlando International Airport (MCO) is located 9 miles southeast of downtown Orlando, and within 20 miles to almost all the major hotels and attractions. 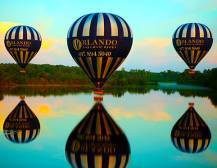 Temperatures in Orlando range from an average of 16°C in January to an average of 28°C in July and August. Hop on and off around the International Drive Resort Area of Orlando, the main area for entertainment, dining, shopping and attractions. You can choose from a 5, 7 or 14-day pass to the I-Ride Trolley, which can be used for as many journeys as you like. There are a number of rental car companies within walking distance of the main terminal at Orlando International Airport. Lynx is one of the largest bus companies in Florida and the only bus line that services all of Orlando. It’s not the fastest way to get around, but the fares are very reasonable. There’s also a free downtown public bus - the LYMMO - which services the entire downtown Orlando area, including the business, entertainment, and shopping districts. LYMMO actually has its own designated lanes and traffic signals, ensuring that the buses can easily make their way around even during rush hour. 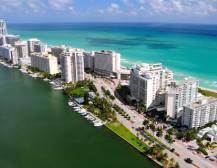 It’s easy to find a taxi in most of the popular areas of Orlando, particularly the downtown area and tourist resorts. Most of the theme park areas also have designated taxi ranks. 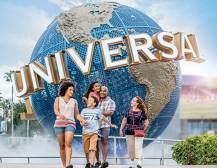 Orlando has a well-deserved reputation for world-class attractions, with its incredible theme parks, excursions and experiences that are perfect for families and couples of all ages. 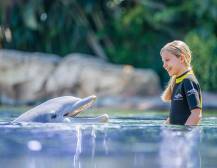 When it comes to booking Orlando attraction tickets, the most obvious choices are the big theme parks like Disney World, SeaWorld or Universal. 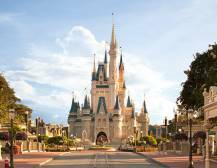 But while there’s no escaping the fact that theme parks are a major draw when it comes to Orlando attractions, a trip to Orlando really can be whatever you want to make it; with lots of tours and experiences outside of the big parks! 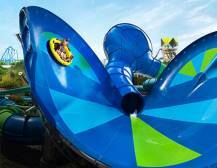 Check out the guides and tips above for getting the best Orlando park tickets and other Orlando attractions.